When you sustain an on-the-job injury (OJI), it can be a career-ending event. 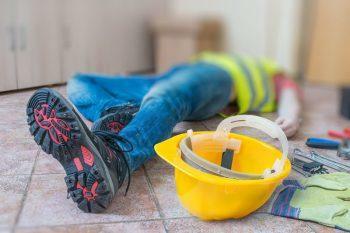 Whether it’s caused by employer negligence, unsafe work environments or other conditions, the debilitation is the same. No matter what, you can trust our team to help you with the recovery process from a work-related injury. 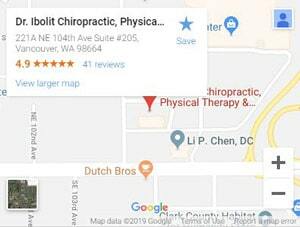 At Dr. Ibolit Chiropractic, Physical Therapy & Massage, we see patients every day who have experienced injuries that manifest in the neck, spine, and chest. Our doctors of chiropractic medicine specialize in treating and alleviating pain coming from back and neck injuries that commonly result from on-the-job accidents. Call emergency care: Seek immediate treatment for serious wounds to prevent things from getting worse. File an incident report: Your employer and local laws likely require you to fill out a paper detailing the circumstances of your accident. Fill out a worker’s comp form: This starts the process of getting your claim covered. Get Dr. Ibolit’s clinic on the case: you can receive an evaluation as well as potential long-term treatment. Chiropractic is the practice of putting the body back into alignment. Patients often seek treatment following traumas. The Dr. Ibolit team also offers physical therapy and massage services to give you a more comprehensive standard of care. Herniated discs are common when your work causes repeated strain on your back. Every member of our chiropractic team is qualified to help you deal with this painful condition. Much like the crack of a real whip, your neck suffers trauma when your head gets snapped back and forth at high speeds. With years of experience in treating whiplash, we can create a customized care plan to assist with pain management, tension and more. Your Health is Too Important to Leave Anything to Chance! Our team has been a fixture in the Vancouver area since 2001. We’re very experienced, competent and empathetic to your condition. Trust us to take care of you when you’re dealing with an injury that you sustained at work. Our goal is to get you back on your feet and to restore the quality of your life.